Longtime friend, Actor and Texas Ranger Joaquin Jackson, appeared in many motion pictures died in his home on Wednesday. According to Jackson’s Facebook page, he had been battling cancer for some time. As a Texas Ranger Jackson served in both Uvalde and Alpine before retiring in 2003 as a senior member of the elite force. 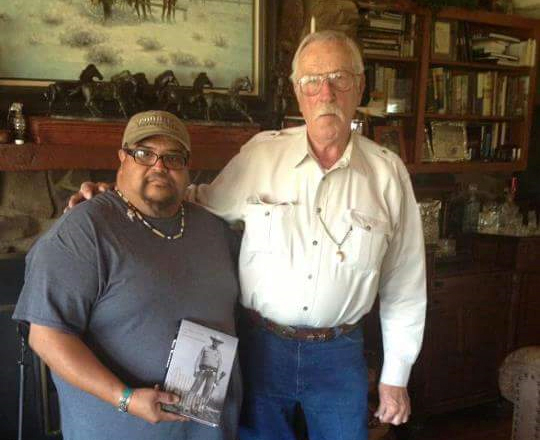 As a Texas Ranger Jackson served in both Uvalde and Alpine before retiring in 2003 as a senior member of the elite force, building a legacy in law enforcement, and working in film, including “The Good Ol’ Boys” with Tommy Lee Jones and writing his own bestselling memoir “One Ranger,” and working as the director of the National Rifle Association and being a member of the Screen Actors Guild. Jackson’s Facebook page states that a memorial service is set to be held on June 25th at 1:00 p.m. at the Pete P. Gallego Center at Sul Ross State University. His family has requested that in lieu of flowers donations be made towards Sul Ross State University or the Former Texas Rangers Foundation. He was a true American and a dear friend you could trust. Rest in peace.